Kaiser has a broad civil and commercial practice, with a particular emphasis on construction, company, insolvency, and securities law. He appears regularly as sole advocate and junior counsel at various level of courts, including the Court of First Instance and the Court of Appeal. He has also advised on various commercial matters and has been involved in international arbitrations conducted in Hong Kong. Kaiser is a recipient of the Bar Scholarship (2014), Charles Ching Memorial Scholarship (2015) and the Society of Construction Law Hong Kong Scholarship (2015). He was called to the Bar and joined Des Voeux Chambers as a tenant in 2015 after obtaining first class honours in both bachelor of laws and master of laws at the University of Durham and the University of Cambridge respectively. He is a contributing editor of the Hong Kong Civil Procedure. Lau Reimer Mary Jean v Ting Wai Monastery Ltd  1 HKLRD 346 - acted for interested parties in a winding-up petition. Pan Shi Liang v Harsen Industries Ltd HCMP 1917/2017 - acted for the applicant in an application for leave to commence a statutory derivative action. Coxgomyl Hong Kong Limited v Unistress Building Construction LImited DCCJ 552/2016 - acted for the defendant in a construction dispute. Manulife (International) Ltd v Choi Wai Ling DCCJ 4042/2016 & CAMP 68/2017 - acted for the defendant in a dispute between insurance company and its agent. Asiamax Events Limits v Inspira Events Limited DCCJ 4766/2015- acted for the plaintiff in a contractual dispute action. Yip Yam Cheung v Fong Hoi Kwan DCCJ 3572/2013- acted for the defendants in an action in relation to water leakage. 蔣鵬飛及林信義 DCCJ 4894/2014- acted for the plaintiff in a defamation action. 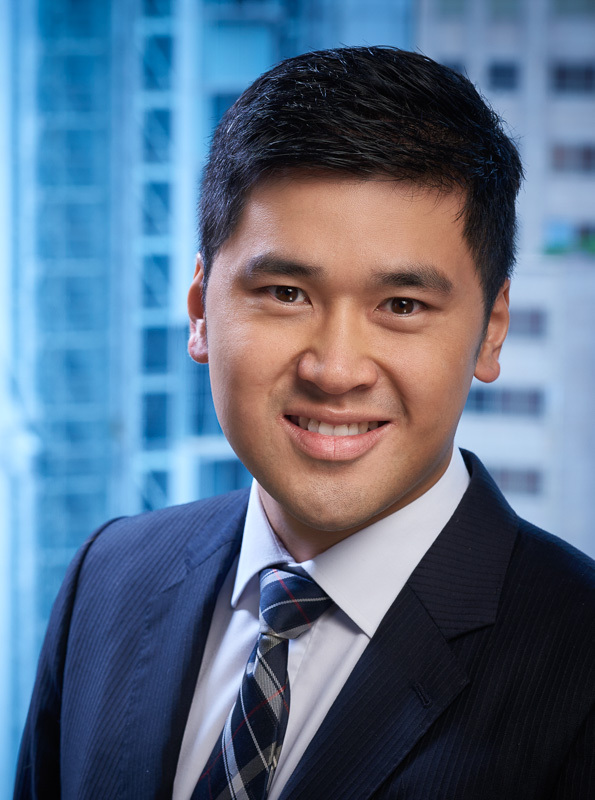 Oriental Press Group v Google Inc HCA 2474/2015, 2476/2015 & 2477/2015 – (with Mr. Lawrence Ng) acted for the plaintiffs in resisting applications to set aside leave for service out of jurisdiction in relation to a defamation action. Big Island v Wu Yi HCA 1957/2005, 714/2007 & 886 2007- (with Mr. Lawrence Ng) acted for the applicants in applications for non-party costs order. Lo Yuk Sui v Fubon Bank (Hong Kong) Limited HCA 409/2005- (led by Mr. Anson Wong SC) acted for the plaintiff in an application for enhanced costs and interests. Li Liping v API Premier Limited HCA 2167/2015 & 2168/2015 – acted for the applicants in applications for proprietary and Mareva injunctions. Gaza Limited v Ho Tack Fai DCCJ 493/2016- acted for the plaintiff in a shareholders’ dispute. Re Tientsin Fashion Limited HCCW 66/2015 & 132/2015- (led by Dr. William Wong SC) acted for the petitioner in a winding up petition. Re: Guo Yao Ming HCB 6796/2015- acted for the debtor in a bankruptcy petition. Bruno Arboit as Sole Liquidator of Highfit Development Company Limited (in Liquidation) v Koo Siu Ying and Ling Meng Chu, Pearl  3 HKLRD 154 - (with Mr. Yang-wahn Hew) acted for plaintiff in committal proceedings. Ageas Insurance Company (Asia) Limited v Ng Fo Heung CACV 164/2015- (led by Dr. William Wong SC) acted for the appellant in an appeal against the dismissal of a bankruptcy petition. Re Estate of Lo Wai Yin HCCA 1984/2016 – acted for the person warning in an application to vacate the caveator’s caveat and appearance. The Republic of the Philippines v the People’s Republic of China PCA Case No. 2013-19- (led by Mr. Daniel Fung SC) – amicus curiae brief on the questions of jurisdiction and justiciability of issues.